Does a sip of coffee make you wince? Have you been avoiding cold treats like ice cream because you don’t want to deal with the pain? 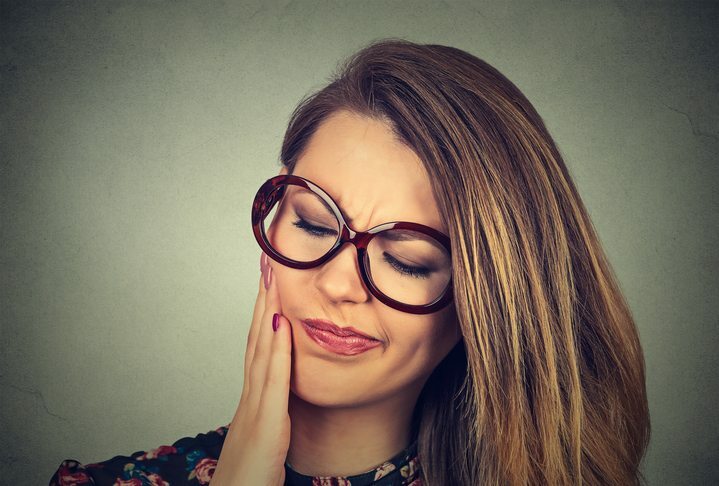 Sensitive teeth can make even the toughest of us let out an “OUCH!” and have us thinking twice about whether to reach for a hot or cold drink, where we’ll chew our food, and even if we’ll breathe through our mouths! At our Wilsonville family dentist office, Dr. Denise Gates sees too many patients suffering from this common oral health condition. The hypersensitivity and discomfort of sensitive teeth can be caused by a few different issues. Enamel, whether it’s been cracked, decayed, or worn away, can expose a tooth’s sensitive inner dentin, so proper dental hygiene is important in preventing sensitive teeth. Make sure not to brush TOO aggressively, however, as this can injure your gums and expose tooth roots. The other major cause of tooth sensitivity is periodontal (gum) disease. As plaque and tartar build up on your teeth, it can cause your gums to recede, leaving the root surfaces of teeth exposed. Regular checkups are important to detect and treat issues like gum disease and tooth decay to keep you satisfied with your smile. Depending on the cause, there are a few things you can do to ease your discomfort. First, try to avoid acidic foods and drinks like soda to fight further enamel erosion. Next, a sensitive toothpaste can help block sensation traveling from the tooth surface to the nerve. If these don’t help you’re your hypersensitivity, then in-office treatments may be necessary. However, the most important step you can take to lower your risk of suffering from sensitive teeth is to practice quality oral hygiene at home every day. The American Dental Association recommends patients brush twice a day and floss daily to prevent the development of tooth decay and gum disease – the most likely cause of sensitive teeth. Brushing and flossing help to remove harmful bacteria and food particles that linger in the mouth after eating. When you don’t brush or floss, you allow these substances to remain the mouth where they can cause inflammation of your gum tissue. This type of inflammation can cause your gum tissue to slowly pull back from the base of your teeth, creating a pocket along the gum line. When a pocket appears, the delicate roots of your teeth become exposed to hot or cold stimuli from the things you eat and drink, causing pain and discomfort. To enjoy a healthy, pain-free smile, you simply need to practice the type of quality oral hygiene needed to keep your gums healthy. Ignoring your teeth can make things worse, so schedule your checkup today at our Wilsonville family dentist office today. We’ll meet your unique oral health needs to keep you smiling brightly for a lifetime!